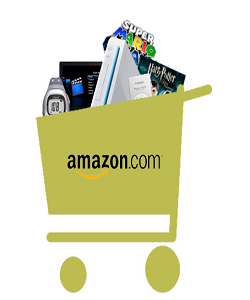 It is nearly twenty years since Amazon pioneered online shopping and today it is delving deeper to provide shoppers with the ultimate tool on its site by the simple click of a button. Amazon’s new press push Dash Buttons technology allows customers to skip the microphone or scanner and with the click of a button order much more than they previously could. The launch of this new technology by Amazon which is the undisputed leader in online shopping enables users to have a press push Dash button in the work environment and homes to help make ordering for products simpler and quicker. This product made its debut in the market not long after the launch of the Dash remote scanning device. The unique design of the Dash Button which is slimmer than any standard remote control device that you will find in any home provides the customer with the opportunity to order products by the use of voice in speaking through the microphone that is built into either the gadget or scanning objects. On offer is close to twenty buttons with each button targeting a specific item on sale. 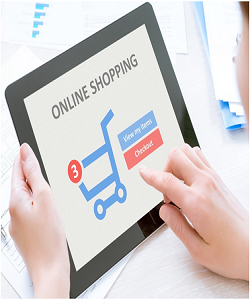 The options through which a customer can order for products online has also been an attraction to buyers who previously preferred to do their shopping at the local grocers as opposed to online shopping through Amazon. The button can also be kept next to the stock item in the home or work place and when the item is about to run out of stock you just need to click the button and make an order instantly. Shopping is basically at your fingertips. There are various items on offer through the press push Dash button like for instance coffee which is very popular, paper towels, food for the baby and Cheese in addition to other food items. Other things that will be on offer in the near future include groceries, electronics, magazines and books. Subscription is also provided for and should be popular because of the discounts offers it comes with. But the most interesting innovation yet to be unveiled is the delivery of products by drone that will probably be in the market in the next few years. Apart from the products listed above that you can get from the Amazon press push Dash Button, inroads have been made to offer this remarkable piece of technology to other product makers. One of these is a company that is engaged in assisting manufacturers of pet food dispensers, and another example is a water dispenser which senses that the water level is low and automatically places an order for a new container of drinking water. This automated integrated reordering system has been taken up by water filters companies and makers of Printers. This concept has made ordering for stocks efficient and leaves the individual time to attend to other demands especially in the work environment. Currently the Amazon press push Dash Buttons are only available by invite only and there is no charge for now. One question that is on most of the users’ minds is the battery life. Fortunately, Amazon has assured clients that the Dash Buttons battery lasts for several years.